It is the transportation machine for poultry cages during poultry hanging process. It is composed by tension device, machine frame, supporting roller, transportation belft, driving system, etc. ZBHT Slaughtering Machinery Co.,Ltd. manufacturing high-quality Cages Transporation Conveyor and supply OEM, ODM service according to your personal requirement. 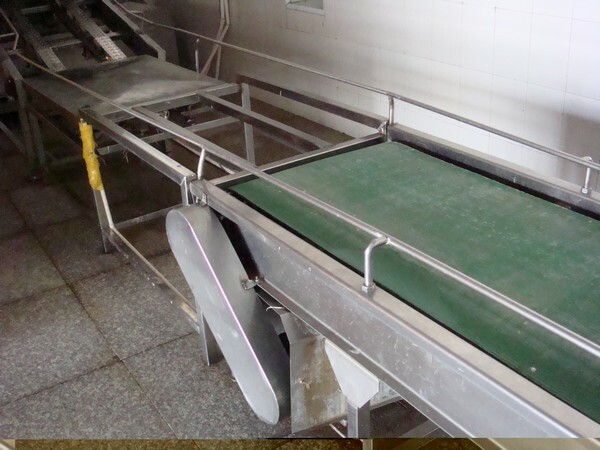 Our Cages Transporation Conveyor and other Poultry Slaughtering Equipment is not only good in quality but also competitive in price, welcome to inquiry us about the details of Cages Transporation Conveyor or other slaughtering machine products and accessory equipment.